KAY Studios makes it easier to make motion pictures. Our East Providence location is 6,700 square feet and features a 40’x40’x18’ two-wall, hard cyclorama to aid in special effects filming. It is the perfect sized space for motion capture productions. It also includes offices, parking, a bathroom, production areas and more to help you make your film making easier. We aim to tailor our services to fit your needs, whether you need to use all of the services we offer or if you just us to get out of the way! 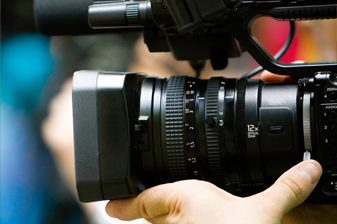 If you are simply looking for a facility to meet your filming needs, we are happy to provide those services. If you need us to get involved and handle more, or even all of your production’s aspects, we are happy to do that as well. Contact us and let us know more about your production and how KAY Studios can help make it easier for you to make motion pictures!